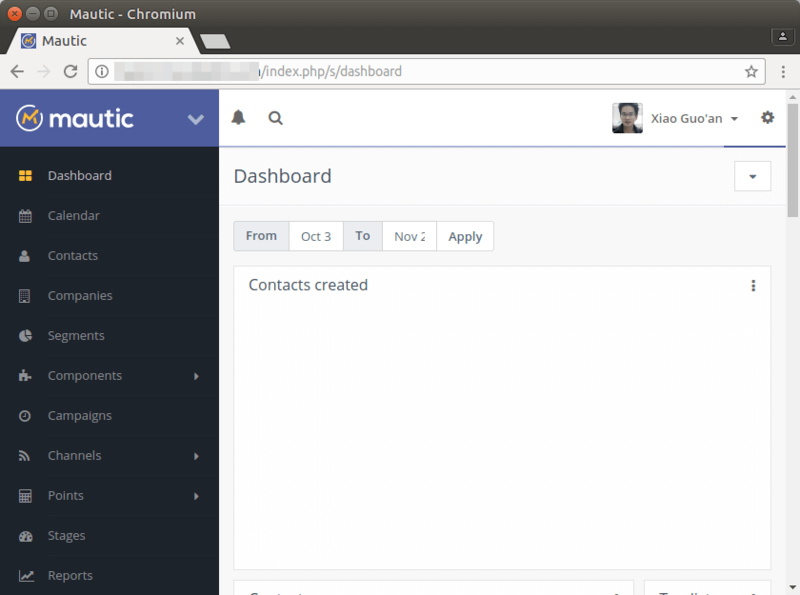 Mautic can be easily integrated with third-party email services like Gmail, Mandrill, Sendgrid, Amazon SES. 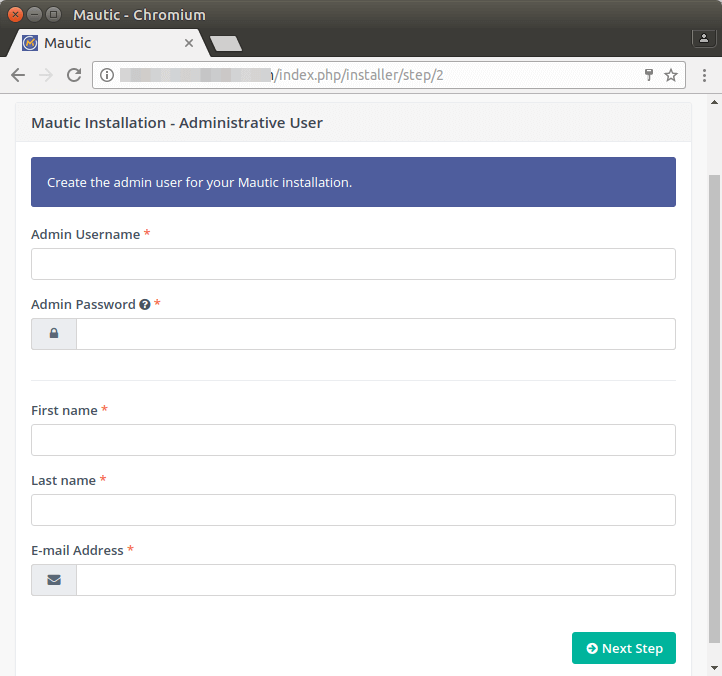 This tutorial is going to show you how to install Mautic marketing automation software on Ubuntu 16.04 VPS or server with Apache, MariaDB/MySQL and PHP7. Nginx config is also provided. First, I assume that you are comfortable with Linux command line. It’s also assumed that you have already set up a LAMP stack or LEMP stack on Ubuntu 16.04. If you haven’t already done so, check out the following easy to follow guides. Once a LAMP or LEMP stack is configured on your Ubuntu 16.04 box, come back here and follow the instructions below. If you go to the official website to download Mautic, you are required to enter your name and email address. If that’s not what you like, then download the latest stable version (2.2.1) using the following command. This file has no extension, but you can know the file type by using the file command. So we know it’s a zip file. Use unzip command to unzip it. A new directory named mautic will be created. Let’s move it to the document root of web server. And then let the web server user (www-data) be the owner of this directory. Log into MariaDB/MySQL database server. If you are having issues with logging into MariaDB, you might need to disable Unix socket authentication on MariaDB. Next,create a new database for Mautic using the following command. This tutorial names it mautic, you can use whatever name you like for the database. The following command will create a database user and password, and at the same time grant all permission of the new database to the new user so later on Mautic can write to the database. Replace red texts with your preferred database name, username and password. Flush privileges and exit out of database server. 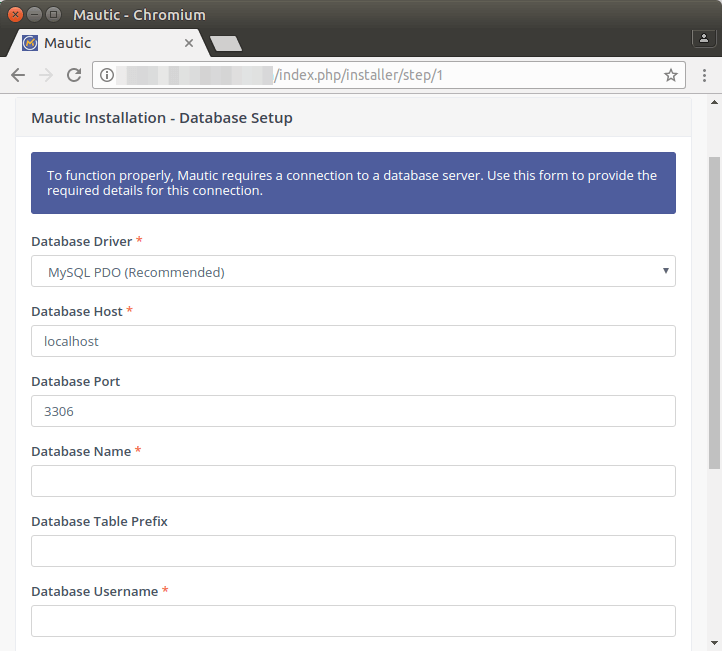 If you are using Apache web server, create a virtual host for Mautic. Put the following text into the file. Replace the domain name and don’t forget to set an A record for it. If you are using Nginx web server, then create a server block file for Mautic. Put the following texts into the file. Replace the domain name. Now in your browser address bar, type your domain name for Mautic to access the web install wizard. then you need to install some PHP extensions with the following command. Apache users need to reload web server to enable these extensions. Nginx users don’t need to reload their web server. Now refresh the install wizard page and click Next Step. Configure email settings. Note that you have many options in mailer transport. You can use PHP Mail, sendmail, or Gmail or integrate Mautic with third-party email services like Mandrill, Sendgrid, Amazon SES. These settings can always be changed after installation in Mautic configurations page. Once it’s done, you can log into your Mautic marketing automation platform. 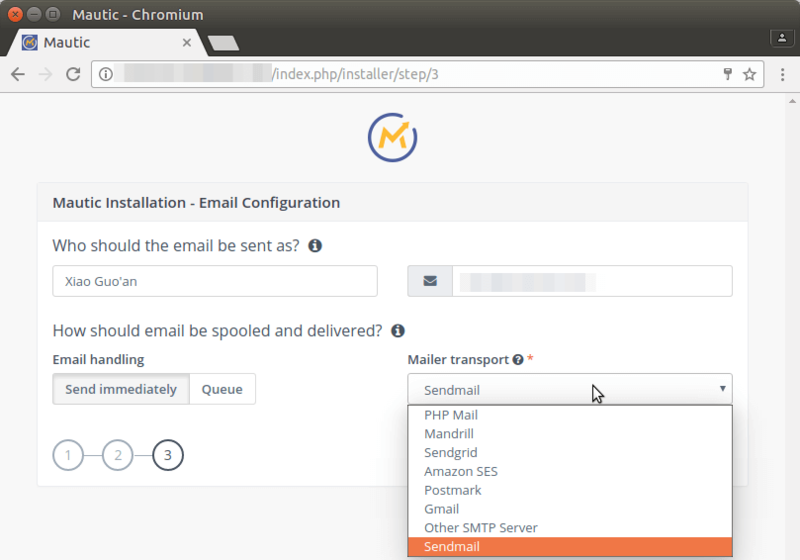 If you chose to use sendmail or other SMTP server to send emails to your leads, you may want to check out the following tutorial which shows you how to set up your own email server. That’s it! 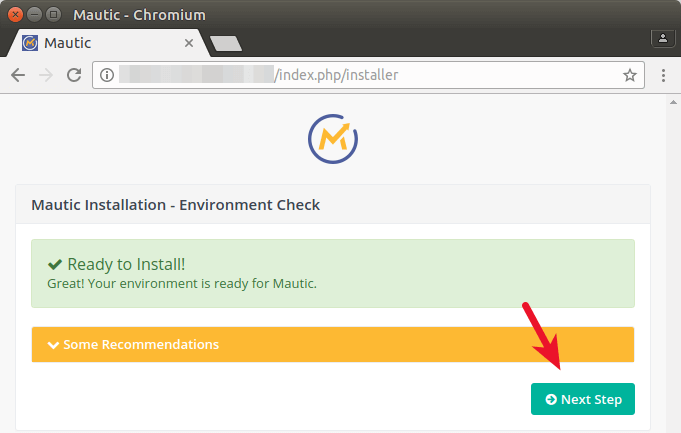 I hope this mautic installation guide helped you to install Mautic marketing automation software on Ubuntu 16.04 with LAMP or LEMP. As always, if you found this post useful, subscribe to our free newsletter or follow us on Google+, Twitter or like our Facebook page. 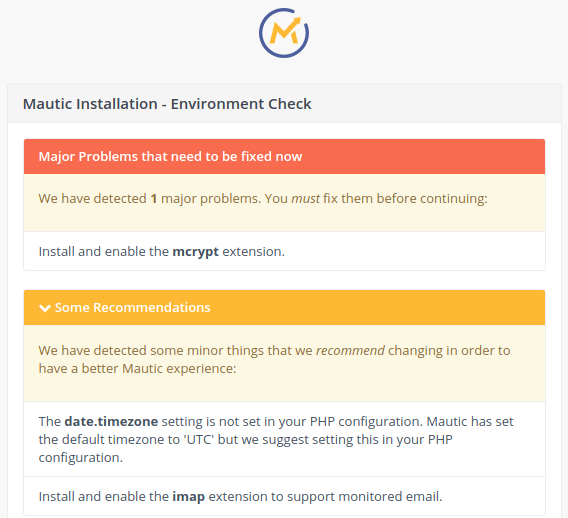 Decided to try Mautic after finding out on Try Direct that it can facilitate our marketing campaigns, and help us monitor our social media results. Your tutorial was actually really helpful, wouldn’t know how I would have dealt with installing without it.